UPDATE: Due to technical difficulties on its site, the Schick giveaway will now be tomorrow, March 22, in the afternoon EST. They will giveaway $3 off coupons and Schick Intuition prize packs. 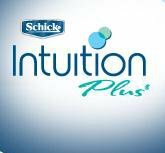 Today, Schick Intuition on Facebook will be giving away a surprise to its fans. They haven’t metioned what it is yet or the time of the giveaway, so I’ll try to keep you posted. Usually giveaways are late morning to early afternoon. Head over there and “Like” Schick Intuition to keep updated on the status too.